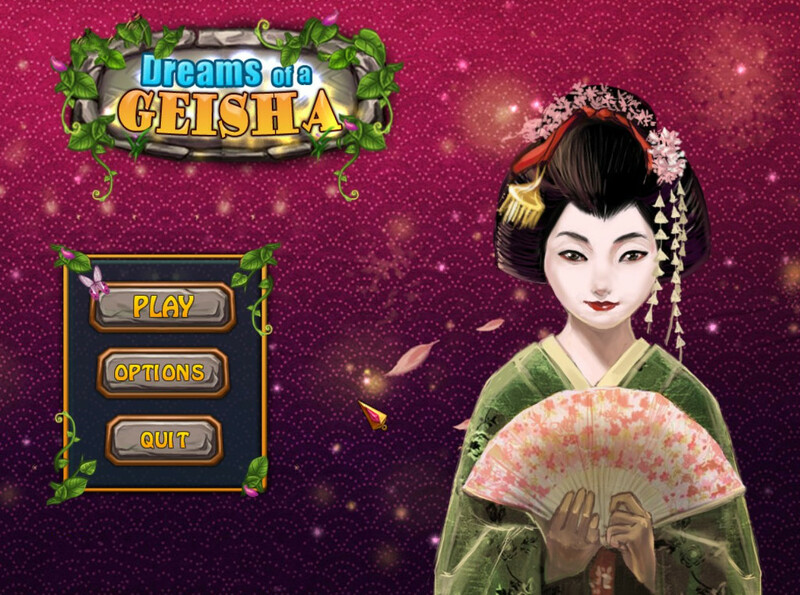 Dreams of a Geisha is a puzzles/match 3 game produced by Green Sauce Games. 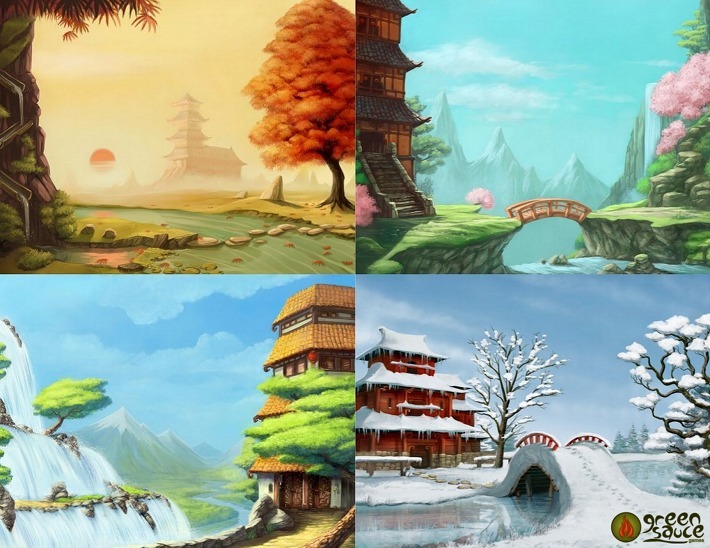 I worked as a digital painter for the backgrounds, and as graphist for some of the graphical elements ( icons , graphic user interface, etc... ) game. 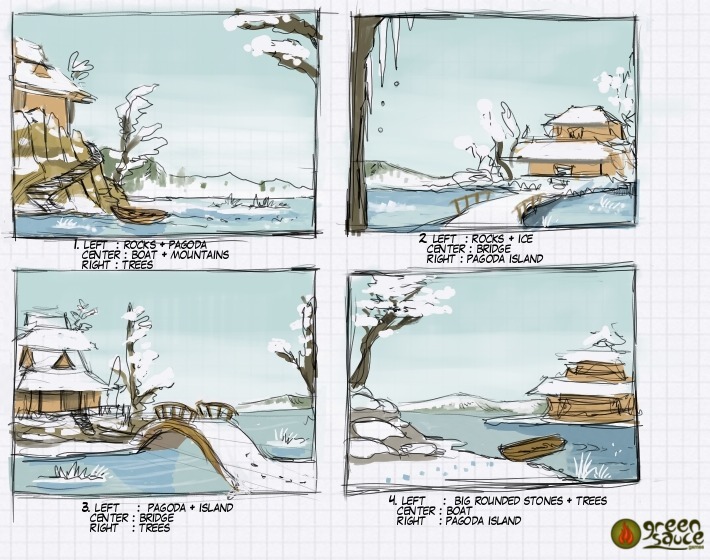 I wasn't alone ; a lot of graphism were also done by other talentuous artist you can find in the credit of the game. The game is sold on Big Fish here and it's was a real pleasure to see it ranked number 1 few time after his release. 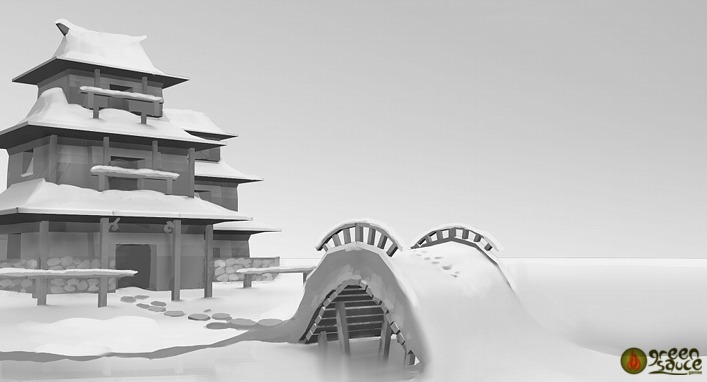 Composition rough, for the snow landscape. Proposition '3' was accepted. with a special permission to republish here, 16 june 2011 . Very nice David. Thanks for sharing. Great post David. 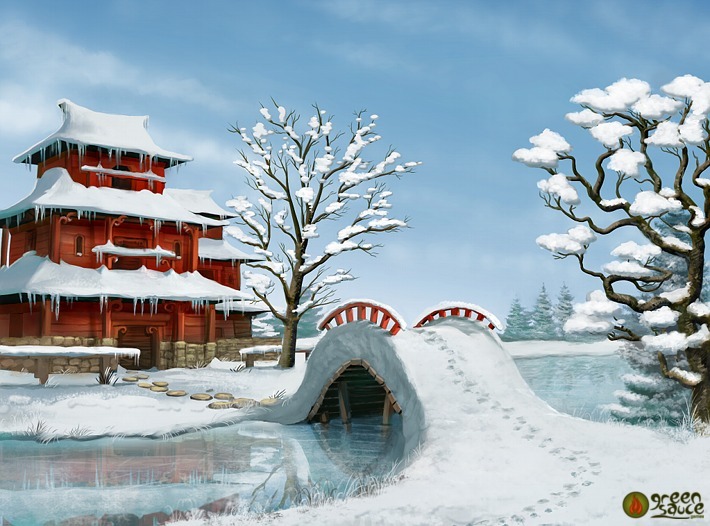 It was an enormous pleasure work with you in Dreams of a Geisha. Thanks! @All : Thanks for the feedback !